Medical Physics is not only a profession to work in a hospital or to teach at a university, it is also a way of seeing and experiencing life. “We do not teach you how to use radiation in diagnosis or treatment of cancer only, but we also teach you to be the problem solvers in anything you encounter in your life”; Professor Colin Orton, IOMP Past President. And this is what medical physics really is about. I wish all my colleagues around the World a Happy Medical Physics Day and I can really say Physics Equals Life. Enjoy the celebration of this day by giving life to our prestigious patients since our theme for this year is: Medical Physics for Patient Benefit. The Bulgarian Society of Biomedical Physics and Engineering (BSBPE) has created a poster that contains information about the role of Medical Physicists and Biomedical Engineers for patient benefit, published on the website of the Society. Two interviews with assoc. prof. Desislava Kostova-Lefterova, treasurer of BSBPE, were given for the biggest daily newspaper in the country, 24 Hours. A reportage on the event celebrated with open doors day in the Oncological Hospital in the town of Vratsa was published in the regional newspaper Vratsa Today. Interviews with medical physicists from one of the biggest hospital groups in the country, Acibadem City Clinic, were published on the website of the hospital. Open doors day was organized in the RP inspectorate in the town of Ruse. In Plovdiv a whole session was dedicated to IDMP during the National Conference of Young Radiologists with International Participation. The Croatian Biomedical Engineering and Medical Physics Society is organizing a workshop "Medical physics in Croatia" in Zagreb on November 9, 2018 on the occasion of the International Day of Medical Physics. EFOMP president Dr. Marco Brambilla will attend the meeting. 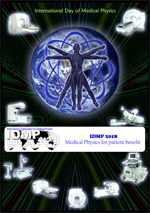 The Cyprus Association of Medical Physics and Bio-Medical Engineering (CAMPBE) and the Hellenic Association of Medical Physics (HAMP) are organising a multidisciplinary conference '"Diagnosis &Therapy" in Paphos, Cyprus to celebrate the International Day of Medical Physics IDMP2018 as well as the 30th anniversary of CAMPBE. The conference unifies the fields of Diagnosis and Therapy, with Medical Physics bridging the gap. 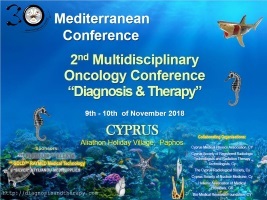 Since scientists across the full spectrum of Medical Imaging and Therapy will participate, the meeting is expected to advance the multidisciplinary cooperation in Cyprus and Greece. A workshop on the use of Lasers in Medicine - Clinical applications and Safe use will be organised in Athens as part of the activities organised in celebration of the International Day of Medical Physics. A workshop will be organised 'Trends in Modern Fluoroscopy Technology: What the Physicist needs to know' in Dublin to align with the International Day of Medical Physics. The Italian Association Of Medical Physics is organising a celebration in Palermo, Italian Capital of culture in 2018 .The event will be open to professionals, public and patients. The purpose of the meeting is to show the important role of the Medical Physicists in the safe delivery of diagnostic and therapeutic procedures in the fields of both ionizing and non ionizing radiation. The International Day of Medical Physics has been celebrated in Poland since its establishment in 2013. On this occasion, the Krakow Branch of the Polish Society of Medical Physics is organizing in cooperation with Student’s Science Club of Medical Physics KERMA the fifth jubilee meeting at Faculty of Physics and Applied Computer Science AGH University of Science and Technology. The Szczecin Branch of the Polish Society of Medical Physics is organizing meeting on Friday 9.11.2018 together with Faculty of Mathematics and Physics University of Szczecin; Medical Physics Department Pomeranian Medical University in Szczecin and WestPomeranian Oncology Centre in Szczecin. The tradition of this special event is Medical Physics Contest for Upper Secondary School, and special Lectures given by prominent invited speakers including such as President of Polish Society of Medical Physics (in past years). The PSMP – branch in Warsaw (PTFM-Warsaw) is organizing a lot of events to celebrate IDMP2018. Our goal is to highlight role of MPE in healthcare and importance of application of physics in medicine. 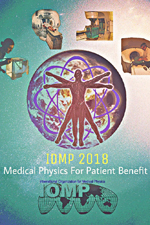 For the sixth consecutive year, the Department of Physics from the University of Oradea in Romania has joined IOMP to celebrate the International Day of Medical Physics. As in previous years, the event represented a great opportunity to promote medical physics among students, science teachers and physicists, and to create better connections among professionals. On the occasion of the celebration of the International Day of Medical Physics (November 7), the Spanish Society of Medical Physics (SEFM) has produced a series of videos to raise awareness of the profession of Hospital Radiophysicist. The idea behind the videos is to present to the general public the important role of Medical Physicists inside the Hospitals, as well as to show aspects of our daily work. 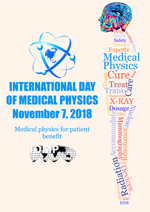 This year IPEM will write a joint letter with RCR and SCoR to the CEOs of the hospitals with radiology and medical physics departments advising them of this International Day of Medical Physics and the International Day of Radiology, which is on the 8th November. The letter highlights the importance of medical physics and radiology and suggests that this might be an opportunity to visit the department. November 7th 2017 has marked the150th anniversary of the birth of Marie Sklodowska Curie. EJMP celebrated the occasion by publishing a special Virtual Issue which looks back at her remarkable career and the impacts she has had on modern science. Marie Curie was the co-discoverer (with Pierre Curie and Henri Becquerel) of the new elements polonium and radium, and one of a handful of scientists who ushered in the birth of nuclear science at the turn of the 20th century. During her lifetime, she was rewarded for these accomplishments in basic science with two Nobel Prizes; the first in physics in 1903 and the second in chemistry in 1911. These contributions were matched by her accomplishments and leadership in applied radiation sciences. She can be considered the founder of the disciplines of radiochemistry and radiologic technology, and one of the world’s first medical physicists. Her example has inspired multiple generations of women, many of whom have made major contributions to the physical and health sciences.